This post will show you exactly cheap ways to soundproof a basement ceiling without any skills or experience. The basement often rarely used, and yet a very special place to people who make use of this precious place, I usually use my basement for peace of mind and this is where all my content is created. However, Often when the basement ceiling is not soundproofed, A lot of unwanted External Noise can turn a peaceful place into something we all neglect and just put garbage in. Luckily Sound Dampening a basement ceiling is really inexpensive and really easy to do ( even if you are not a handy person) All you have to do is follow the following methods and you should be in good shape. First and foremost, you need to place some carpet on the top floor of the respective basement ceiling. That will be the first layer of defense against the sound. When someone walks on the floor, you may hear the footsteps. If you apply some soundproof mats under the primary mat, the result will be very effective. 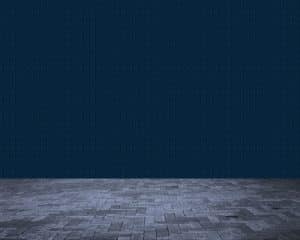 By attaching thick dense sound absorbing mat to the ceiling, It will significantly reduce all the external noise including the loud footsteps that we all don’t like. Next, you need to seal every possible crack in the wall and the ceiling with caulking seals, thus the sound waves won’t pass and make the unwanted vibration noise. However, you need to consider every tiny gap too. The acoustical insulations are needed to be placed between the ceilings. They will absorb the maximum amount of sound came from the basement top. Incidentally, it’s a must-have product for making the basement noise proof cheaply. For this reason, carefully place them on the ceiling. However, you can install acoustic insulation slabs inside the ceiling cavities, or you can use acoustic hangers to create separation in the basement ceiling. Similarly, insulate the wall with some soundproof materials. The rolls of insulation can be useful for this job. You need to be sure that you miss no corner. Just correctly did this part and be ready for the next step. In the meantime, insulate the whole basement for a better result. The insulation materials are cheap and easy to work with. On the other hand, the whole basement wall should be covered with an at-list ½ inch thick sheet, for the drywall making. In the meantime, you need to cut and place it tighten using glue and screw correctly. Make sure you won’t miss a place, or the drywall is stretched enough and not making any unwanted vibration. As a matter of fact, you may add another layer of drywall for more sound absorbing properties. Additional layer on the drywall: you can add some extra layer of a sound absorbing sheet on the drywall. In fact, some soundproofing mats can be on this list. You may use a particular kind of papers that are meant to use as the soundproofing material. You can add some soundproof foam panels in your basements. The soundproof foam panels or Acoustic foam will reduce the force of any sound wave. It increases air resistance and reduces the amplitude of the sound waves. Of course, when you need to minimize the noise levels, echoes, and vibration, you should use soundproof foam panels in your basement. The foam panels should be attached to the ceilings, walls- everywhere possible. This product is cheap and handy for soundproofing the basement. you can install some acoustic tile in the ceilings for more effectiveness. But before that, the assembly of the framework for the dropped ceiling is required. After the proper arrangement of the frame, now the acoustic Tiles should be appropriately placed. In the same way, you need to attach each tile correctly with the frame; thus it leaves none blank space on the ceiling. Tighten the screw well, with carefully, not to damage the other sections of tiles. For this reason, when you cover the ceiling accurately with Acoustic Tile, the airborne sounds from the top will reduce significantly. I want to conclude by saying it’s not a really tough job as it sounds. If you follow the steps as mentioned earlier, the basement ceiling will ultimately become soundproof, Without; harming your budget at all. If you follow the instructions, the situation will finish before even you get warmed up. 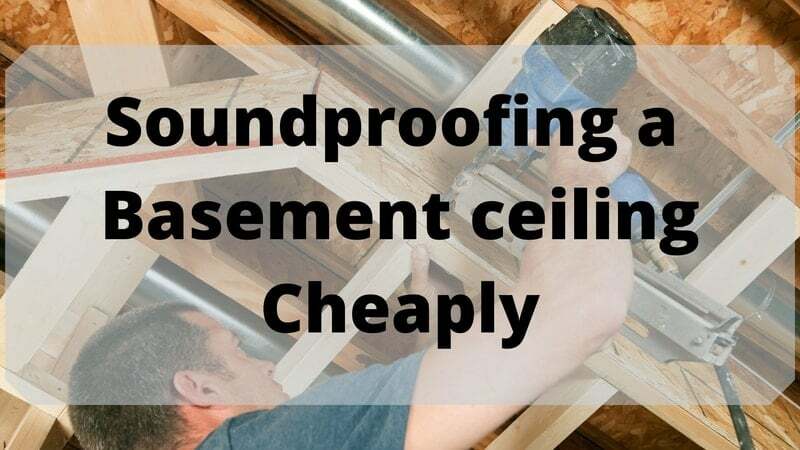 As a result, you will get the most affordable way to soundproof a basement ceiling for yourself. I really hope this post has helped you a lot and please if you have any questions, feel free to ask me. This video should help you.